Plot: A planet-mining spaceship has lost contact with Earth and disappeared. You play an astronaut on a rescue mission to fix the ship and find out what happened – but something’s gone horribly wrong. When your ship is on approach, the gravity wells kick in and your ship crashes into theirs and is heavily damaged. Your few crew members board the derelict ship, and are attacked by strange creatures that can only be killed by dismembering their body parts. In an attempt to fix the ship and finish your mission, you are separated from your other crew members and forced to fight your way through this survival horror in space. What makes this game unique, however, is the lack of any HUD (Head’s Up Display). Your life bar is a light on the back of your character’s suit. Your energy is a half-circle on your back. And your ammo is displayed whenever you raise your gun to fire. Even checking your inventory doesn’t pause the game, it just shows a hologram in front of you. The game is immersive, and other than the few loads between levels / missions, there’s really no time that you’re not playing this game. This heightened the fear and threat levels in the game for me, as in a game like Resident Evil I can pause the game by accessing my inventory to switch out a gun when my current weapon is running low on ammo, or to give myself a breather. Not in this game. There was one time where I was searching bodies, some of which I had just slain myself, and when listening to an audio log I was attacked by half a body on the floor! It was intense! The level of customization in the game is also a fantastic part of it. You’re able to upgrade just about everything: your weapons, your suit, your abilities, etc. Everything in this game is badass, and it’s frightening as hell. The best way I can describe the game is to call it an “experience.” You’re less of a casual observer of the events, but fully integrated into this world with frightening things happening all around you. 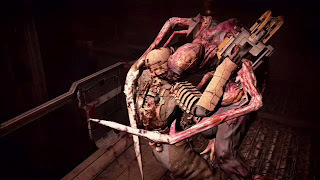 The game also has a high level of gore, with the only way to defeat the bad guys being dismembering their limbs. Once your Plasma Cutter weapon is upgraded enough, this becomes rather easy for some of the earlier villains, but they keep throwing more and more challenging baddies your way throughout the entire game. I won’t spoil it for you, but you’ll be hungry for ammo towards the end, and you’ll have to make tough decisions about what items you keep or sell to try to get more money for more ammo. 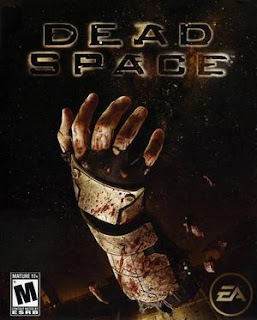 I’d call this one of the best survival horror games to date, and I seriously hope they make another one or something similar to it. Sure the plot is riddled with holes and is somewhat cliche, but the game is fun to play. But I don’t recommend playing it alone in the dark….